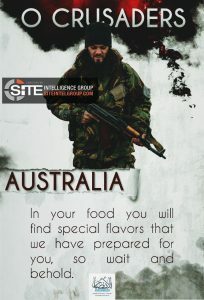 With no primary saboteur yet in custody over the insertion of needles into fresh Australian strawberries, ISIS have published a series of propaganda posters in an attempt to turn one of our favourite sweet fruits into a game of edible Russian roulette. ‘No evidence to support’ ISIS was behind Toronto attack: Police. ISIS claims responsibility for deadly attack of cyclists in Tajikistan – The Tajik Government accused another banned Islamist group for being behind the attack. Does ISIS really ‘claim every terror attack’? How do we know if a claim is true? Why do ISIS do this? Making terrorism a part of everyday life is an insidious attempt at normalising extreme violence and hatred. The more you see of it, the more familiar it becomes – and the less extreme it appears. In the most basic of ways, ISIS applies traditional public relations theories in an attempt to instill fear amongst their enemies. These terms are most commonly referred to as agenda setting and priming. ISIS set their agenda by attempting to influence what appears in news reports which then influences which issues remain current in the public mind. They’re not telling you what to think, so much as trying to influence what you think about. In this case, they know you’ll be thinking about the strawberry crisis but they want you to also think they could be responsible for the sabotage, now and into the future. However, the primary target isn’t strawberries at all – it’s the resulting media coverage that both encourages terrorism among radicals and creates a sense of fear amongst the general population. The event is proximal- it hits close to home. The event is prominent – it resonates with many people simultaneously. The event is timely – it’s current, ongoing and of high public interest. The event is unusual – it’s shocking, bizarre, odd or outright strange. The event has consequences – people could get ill, injured or killed. The event creates or reports on conflict – audiences like to choose sides and have an opinion. The event is of human interest – it elicits an emotional reaction. The event is extreme – it is the first, the biggest, the wildest or the best one of its kind. The event is scandalous – it is wilfully dangerous, immoral or unethical. 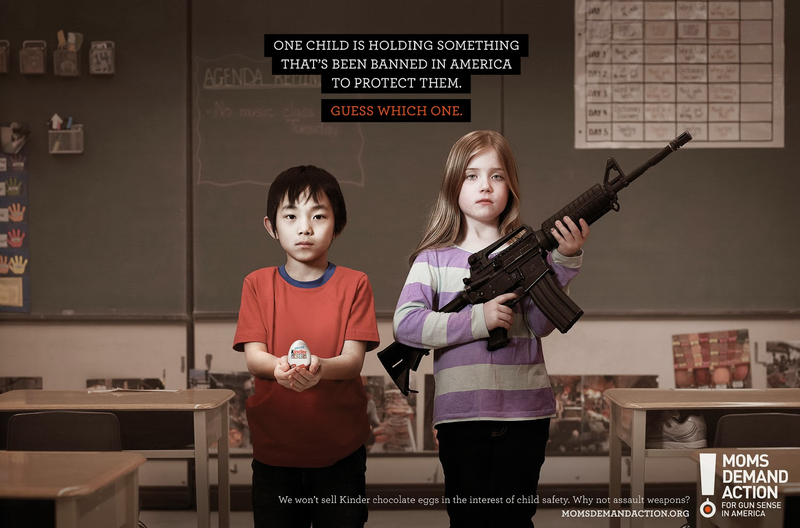 The event creates impact or an effect – making people take an action as a result of the news. Newsworthiness also acts as a thought amplifier – every time you hear, read or watch stories or posts about the strawberry crisis, you think about it a little more. Repeated exposure to extreme content makes it appear less extreme, just as repeated expsoure to sales and marketing content makes you more likely to buy the product or trust the brand. ISIS then prime the content – in this case their propaganda posters – to give people the impression that their information is important. Because the contamination crisis is making daily headlines, and people see those stories on the television, hear it discussed on the radio, read about on their Facebook and Twitter feeds; and invest in some social commentary – the issue and by association, ISIS’ issue – is perceived as important. ISIS then frame their posters and messaging to appeal to both extreme radicals and the general public alike. 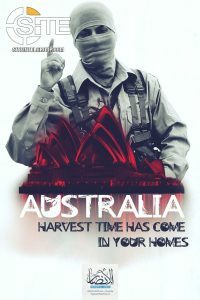 The posters are professionally designed, the imagery representative of things we hold near and dear (such as the Sydney Opera House) and because so much importance has been attached to the crisis, this new viewpoint of terror – makes the crisis seem that little bit more sinister. 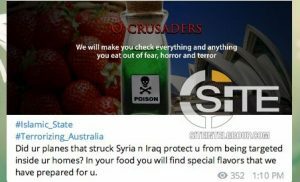 While not taking credit for the strawberry sabotage directly, ISIS’ encouragement of their followers to commit copycat attacks sows seeds of unease amongst the general public making them again, think of ISIS and how terrorism could impact them and their families. The visual aspect of ISIS’ newsjack into the strawberry crisis adds another layer of influence to their propaganda. Thomas Hegghammer in his recent book ‘Jihadi Culture’ explains that there are several key themes central to jihadi imagery: the Mujahid and hero (Jihadi Soldier), the Martyr (soldiers who died for jihad) and a call to Paradise (Heaven). Highly militaristic, highly emotive and provocative – the strawberry terrorism series of propaganda posters are designed to create an emotional response. The jihadi will feel a sense of call to duty and in the general public, a sense of fear and doubt around the safety of our food sources. These visual cues work because the propaganda value of violent symbols – guns, jihadis in military attire and a blood red colour palette – are both culturally significant to them and culturally terrifying to us. Are ISIS’ strawberry terrorism propaganda posters effective? 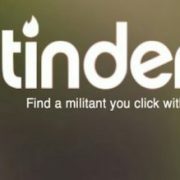 To the jihadi looking for a way to terrorise people, these posters can serve as a form of attack ideation. To the general member of the public, witnessing attempts or threats of terrorism through the lens of the media can be exceptionally profound, impacting their lives in tangible ways – or completely benign. One of the most obvious points here is that there are no facts contained within their propaganda. No substantiation of their claims, no evidence of their actions and no demonstration of sabotage capability. Just threats woven into carefully crafted words and imagery, leveraging past grandstanding, that have been designed to elicit an emotional response and resulting action (double checking all your food for contaminants). 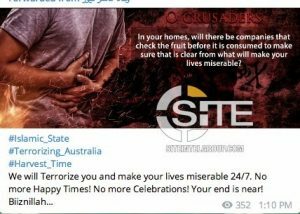 While ISIS’ posters may not have the overall intended effect on the Australian people, they do demonstrate that their war is now, more than ever being waged in the information domain – and while their Caliphate in Syria and Iraq lies in ruins, the digital Caliphate remains impervious to conventional warfare. 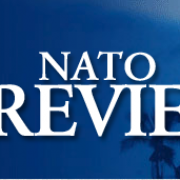 Pohl, G (2015) Media and Terrorist Choice: A Risk-Reward Analysis. Journal of Applied Scientific Research, 10:1, p. 60-76.